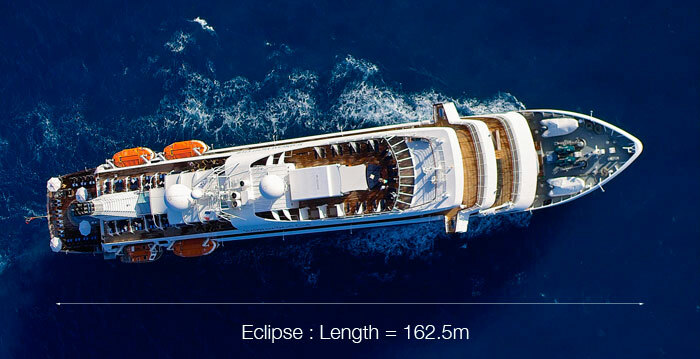 Eclipse, the world’s largest superyacht, spends most of its time moored offshore. This summer it was to be found in the Bay of Gibraltar or off the coast of Antibes, too big to manoeuvre into either port. Similarly the King of Saudi Arabia’s new boat was to be found not in the millionaires playground of Puerto Banus but in the dock in Malaga, the only port capable of providing a berth in Southern Spain. But whilst Roman Abramovich may have a collection of tenders, minisubmarines and helicopters to ferry him to the shore it does highlight an increasing problem for marinas in established areas. The simple truth is that as boats get ever bigger the number of prime ports that can handle them reduces. A study of the recent Monaco Boat Show reveals that of the 500 exhibitors around 100 are presenting ships ranging from 25m to 90m (82ft-295ft), in length. 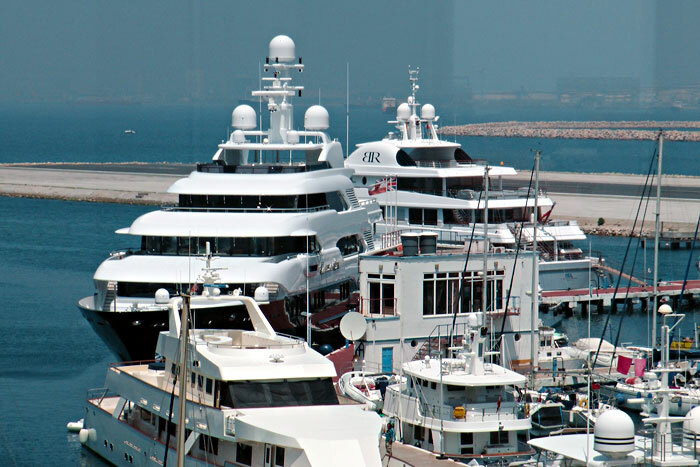 The worldwide fleet of superyachts (30m+) has grown fourfold since 1985 to over 4,500 today. The percentage of the fleet over 40m has been growing consistently since 2007 and of the 100, or so, yachts launched so far this year around 56% measure more than 40m long. The Eclipse, as mentioned above, is still the largest yacht in the world but looks set to be pushed into second place by the new “Project Azzam” currently under construction by German shipbuilders Lurssen. Rumoured to have been commissioned by the Saudi Royal family the super secretive vessel will be 17.5m (54ft) longer than Eclipse. It is thought a yacht this size will cost its new owner around £400million – and that is just the initial payment with the yacht having astronomical running costs. The yacht’s fuel tank will be able to hold a staggering one million litres while the owner will have to pay 50 of the best staff in the world to man it 365 days of the year. 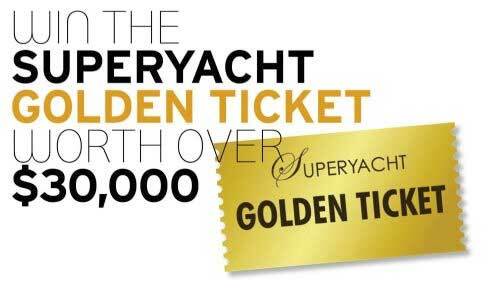 Sales of superyachts have risen proportionately as the number of billionaires in the world has increased. Forbes now estimates that there are around 1,226 billionaires (up from 140 25 years ago). The global financial crisis has not decreased the wealth of the super-rich, indeed their numbers and total wealth continue to increase. So will superyachts follow the example of limousines where practicalities dictate the largest size? 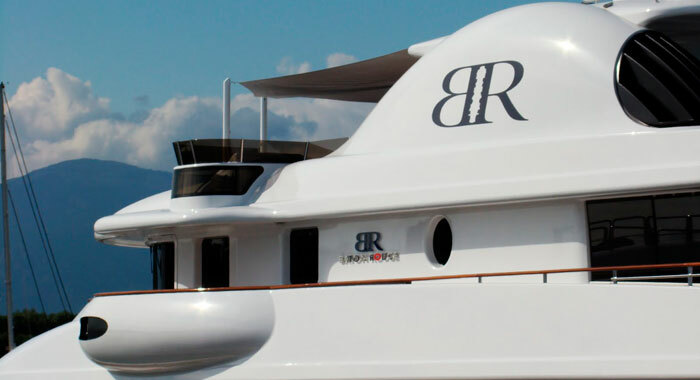 Certainly for Mediterranean charters where a mooring at Portofino or St Tropez may be the highlight of the package – but that still leaves a sizeable number of reclusive billionaires only to happy to stay out at sea and out of the limelight. One project that seeks to break the size barrier is the Ultra Luxum. Developed under the patronage of Price Albert of Monaco the revolutionary sailing trimaran has an innovative mechanism that allows it to slim down when not at sea, enabling it to enter a marina like an ordinary single hulled yacht. Vessels such as this are becoming increasingly popular. More sophisticated and less arrogant and confrontational to the public than the mega-yachts of the super-rich, it also consumes far less resources than the million-litre fuel tanks of Azzam so maybe even the 1% are looking at their fuel bills.